No bucket list is complete without a visit to the mysterious, isolated, and unforgettable Easter Island, the most remotely inhabited place on Earth. Located 2,400 miles west of Santiago in the middle of the Pacific Ocean, this 45-square-miles island is a Polynesian getaway and also an unsolved mystery. The most recognizable features of Easter Island are the more than 600 enormous stone heads, called moai . These stone sentinels, as well as a thriving town and rich history, have turned Easter Island into a premier travel destination that is secluded yet surprisingly accessible. Easter Island’s known history is tumultuous and bloody, marked by civil wars among native tribes, enslavement, famine, and devastation at the hands of Europeans—none of which is apparent on the idyllic island today. The rolling hills, dormant volcanoes, rocky caves, and impossibly blue water, as well as the friendliness of the local people, are a positive new era for an island that has seen its fair share of suffering. The origins of Easter Island continues to be a mystery to this day, as nearly all of the original inhabitants were wiped out by the Europeans during the 1800s, and the secrets of the ancient culture died with them. But archaeologists continue to piece together theories to paint a picture about the origins of this fascinating island and to solve a riddle that has captivated the world. Legends passed down from the few survivors indicate that, during the island’s most prosperous years, islanders were divided into the “Long Ears” (the ruling class) and the “Short Ears” (the working class). 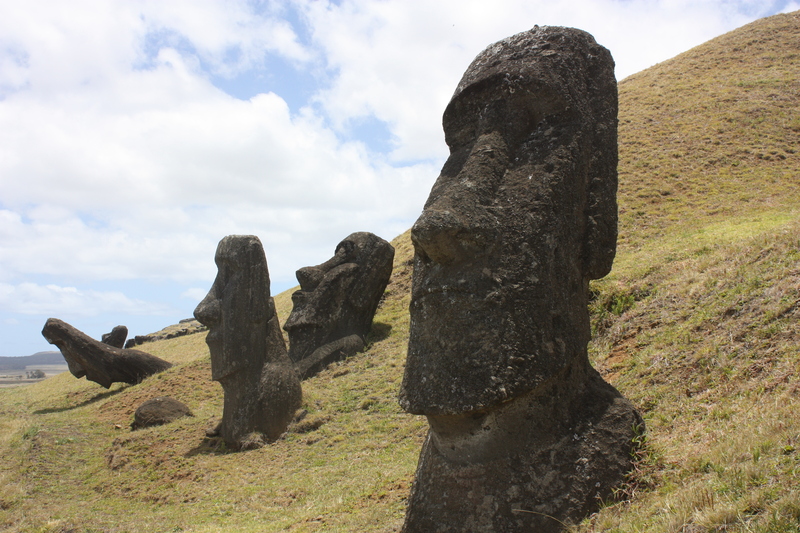 It was during this time that the moai were sculpted and erected on ceremonial platforms, or “ahus”, around the island. 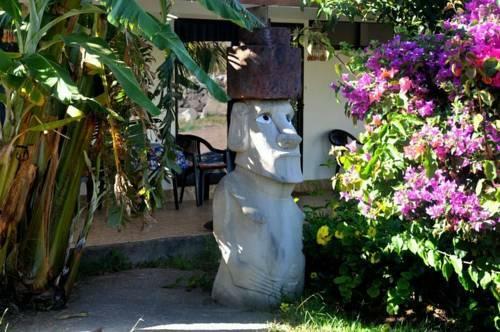 The era of the Long Ears was a time of relative peace, where most of the islanders’ time was spent manufacturing, transporting and erecting the moai in an obsessive, almost cult-like fashion. They lived in complete isolation for more than a thousand years and created their own unique language as well as their own writing system, known as the “rongo rongo script”. Eventually, the Short Ears rebelled and, after a bloody civil war, slaughtered all of the Long Ears and toppled the moai. The civilization quickly crumbled, and there were frequent bloody wars between tribes. Moreover, deforestation of the once lush, heavily forested island devastated food sources and contributed to a rise in cannibalism. Many islanders sought refuge in the caves around the island to escape the extremely dangerous conditions above ground. When Europeans eventually came to the island, they wreaked havoc by enslaving the people, bringing new diseases and destroying artifacts. They depleted resources, parceled up sacred land into livestock fields, carelessly trampled ahus and ancient homes, carved moai topknots into cattle troughs, pulled the valuable white coral eyes from the moai, and used the moai for target practice, peppering their fragile bodies with bullet holes. Entire moai were hauled onto ships and taken away to foreign museums. In recent years, efforts have been made to restore these precious pieces of history. Some of the toppled moai have been re-erected on their ahus and embellished with their traditional adornments. A grove of eucalyptus trees was planted in an attempt to restore lost vegetation. And just recently, CONAF (National Forest Corporation of Chile) began prohibiting visitors from walking atop the ahus or touching the moai. 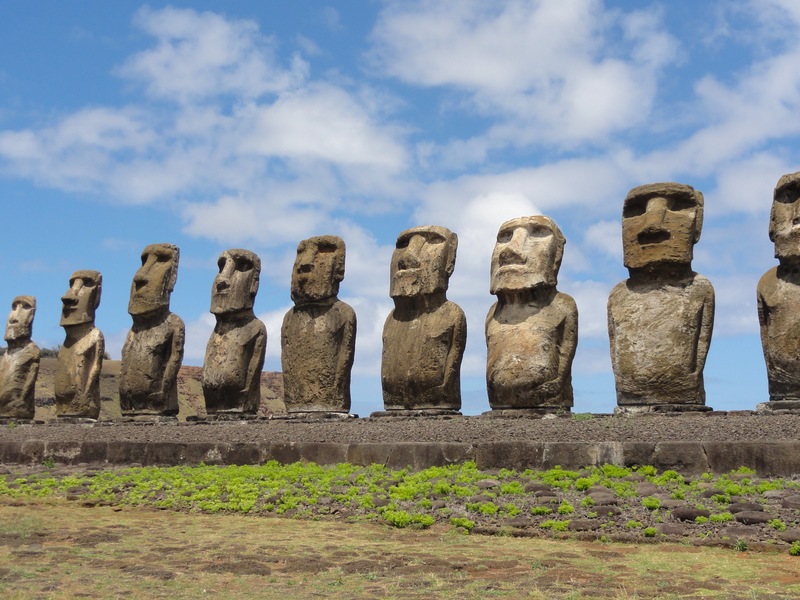 These magnificent statues were created as a form of ancestor worship, in which the chiefs of the tribes were buried beneath the ahus and then had a moai—carved in their likeness—erected atop the burial site. This is why many ahus have a line of several moai in a row: each chief was buried alongside the others who came before him. The largest ahu on the island is a staggering 15 moai long. The moai stand in lines with their backs to the sea, keeping watch over their villages. When a new moai was added to the ahu, the villagers added a red, circular block upon the head (to mimic a “topknot,” which was a prevalent hairstyle of Polynesians) as well as white coral eyes with obsidian pupils. In addition to learning about the fascinating history of this island, there are many things to see and do at Easter Island that will certainly make for a once-in-a-lifetime trip. Here are a few highlights of the island. This is the only town on the island, where most of the island’s 3,000 residents live. Hanga Roa is located along the southwestern coast and has numerous idyllic characteristics of a Polynesian paradise: swaying palm trees, shimmering ocean views, outside dining, wonderful handicrafts markets, and the ubiquitous sound of waves pounding on the shore. There is a variety of dining options and many hotels for all budgets in or near town. Southwest of town, Rano Kau is the site of a towering dormant volcano, overlooking the sea. The crater is filled with water and marshy grasses, surrounded by steep rock cliffs that lead to the mirador (viewpoint) overlooking the crater. It is possible to drive directly to the mirador, or hike from town along the coast, past the seaport, through farmland, and straight up the side of the volcano. From the mirador, follow the path to the right along the edge of the crater to Orongo, the ancient village of the “birdman” cult. Almost all of Easter Island’s shores are jagged volcanic rock, but Anakena Beach has gorgeous white sand beaches, rows of palm trees, picnic tables, and food and souvenir stands. It’s easily accessible and is great for families. This is where you should go to experience the tropical, Polynesian aspect of the island and soak up some sun. 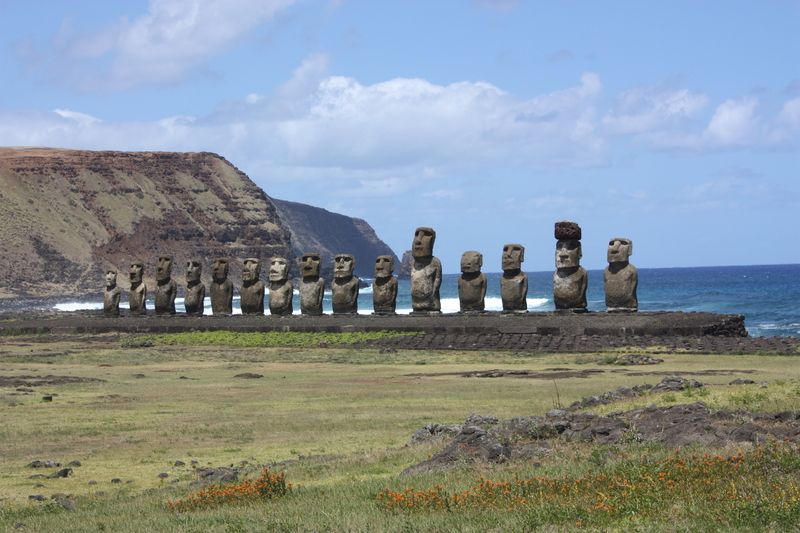 This is a unique beach as there are also four erect moai together on their ahu, just a short distance from the beach. An alternative to Anakena Beach is Ovahe Beach, which is just to the east of Anakena on the island’s north shore. Set in a breathtaking cove surrounded by steep cliffs, this is a wonderful beach to relax and swim. Ovahe Beach, in addition to being off the beaten path and less crowded than Anakena, could easily be considered one of the most beautiful beaches in the world. Located just inland off the eastern coast, Rano Raraku is the dormant volcano where the moai were carved and then transported all over the island. 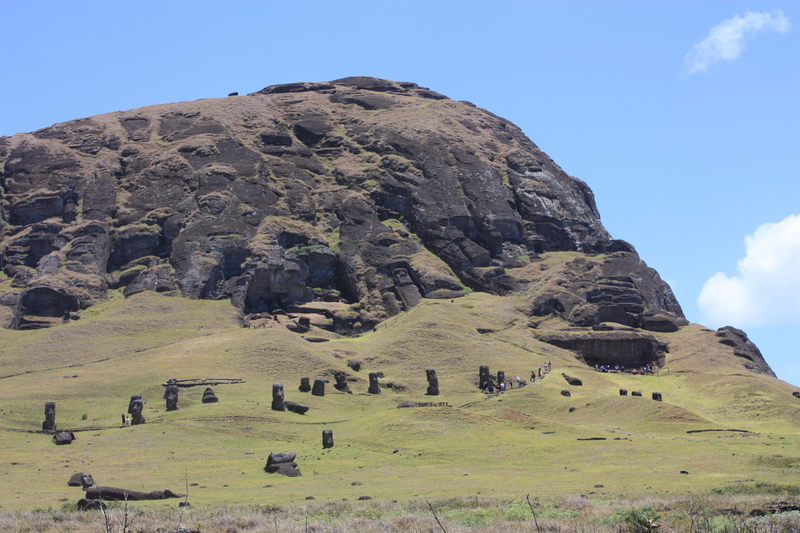 There are about 400 moai at this location alone, some buried up to their necks along the hillside and many others in the various stages of being carved from the rock faces above. One of the most visually stunning and photographed sites on the island, Ahu Tongariki is an impressive row of 15 moai just a stone’s throw from Rano Raraku. This is the largest ahu on the island, having been restored in the 1990s after all the moai were toppled during the civil war and a tsunami swept the ahu inland during the 1960s. Ana Kakenga means “Cave of Two Windows.” The cave is located on the western coast, along the road between Ahu Tahai and Ahu Tepeu. The cave entrance looks like a tight, pitch-black hole in the ground, and it might be necessary to leave hiking packs at the surface while you navigate into the cave. You must have a torch (or at least a flashlight app on your phone) in order to enter the cave, as the darkness can be very disorienting and the cave ceiling is low near the entrance. Once inside, the cave quickly opens up into a spacious cavern that has two large “windows” in the cliffside that looks out onto the ocean below. You do not need to book a tour to enter this small, uncomplicated and truly unique cave. 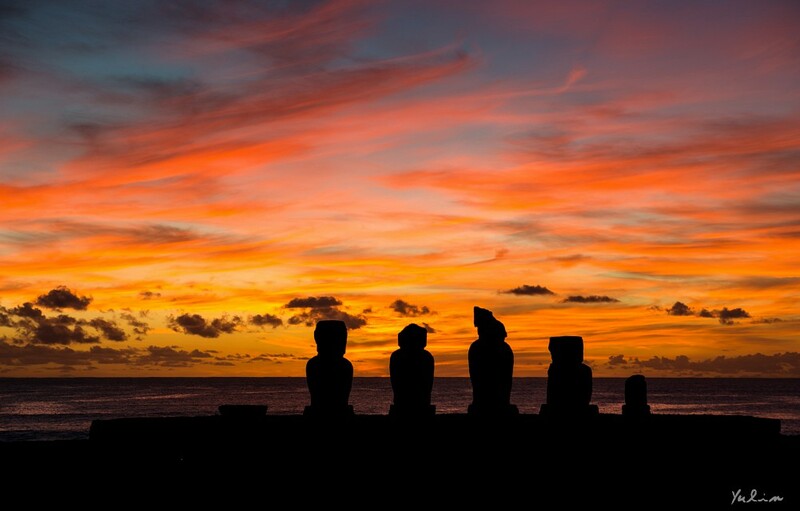 For the best sunsets on the island, head north of Hanga Roa to Ahu Tahai, where five moai are silhouetted against the hues of the evening sky. Of all the island’s most impressive sites, Ahu Tahai is the easiest to get to because it is well within walking distance. In addition to the moai, there are remnants of ancient homes scattered across the field in front of the ahu. If the night sky is clear and you have a professional-quality camera, this is a great place to take some photos of the moai with a backdrop of bright stars. Of course, there are many other historically and culturally significant sites that deserve a visit, and the best way to fully experience the island is to take a guided tour. Tours can be booked in Hanga Roa or sometimes even through your hotel (the hotels’ tour options will likely be more intimate than the general ones from town). The guides provide an extraordinary amount of insight into each location and the civilization of the native people. It would be a good idea to take a tour at the beginning of your trip so you can revisit your favorite places on the island another day. 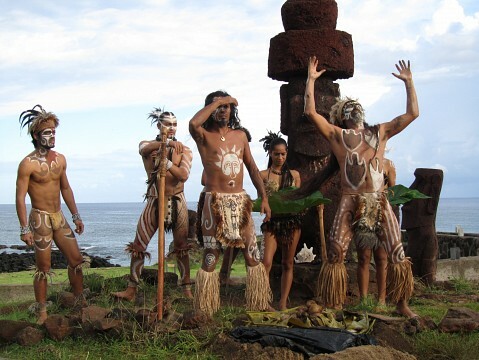 The islanders perform traditional dances as a way to preserve Easter Island’s culture and to share their heritage with tourists. This is a good way to see how the islanders are keeping the ancient traditions alive through this unique form of expression. There are several places in Hanga Roa to watch a performance, including the Kari Kari Ballet, Matato’a, and Maori Tupuna. There are many hotel options on the island and they run the gamut from high-end luxury to modest and family-owned. Easter Island is not an affordable destination; rooms during the high season will be highly sought after and, therefore, more expensive. It’s worth it to ask if there are any special discounts or promotions the hotel can offer you, rather than paying the rack rate outright. Here are a few lodging options. The Explora chain is known for having some of the most luxurious accommodations throughout Chile, and Explora at Easter Island is no different. Prices here are reflective of this degree of luxury (more than $ 1,000 USD per night for a single room), but it has picturesque ocean views, a pool, a spa, a restaurant, tours with English-speaking guides, and a peaceful, secluded location just a small distance outside of town. 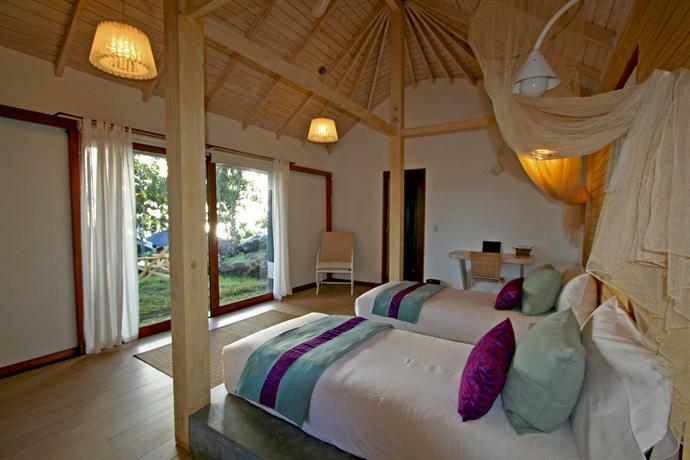 With prices starting at $ 570 USD per night for a single, Hotel Hangaroa is another luxury option with ample privacy and amenities. 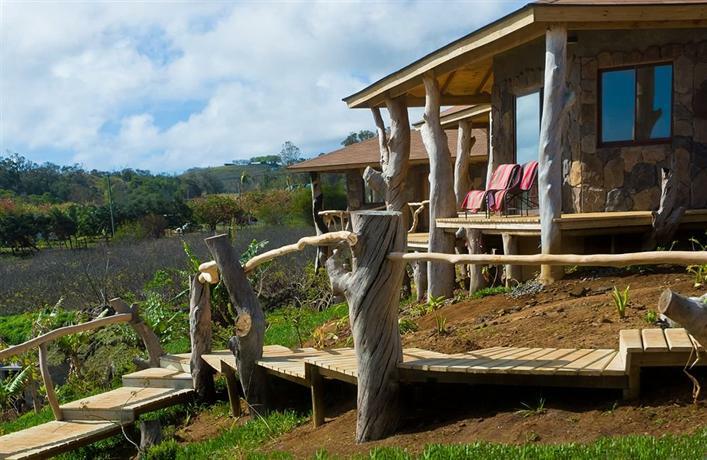 The architecture is modern yet rustic, with ocean views and several on-site dining options. There is also a spa and pool. 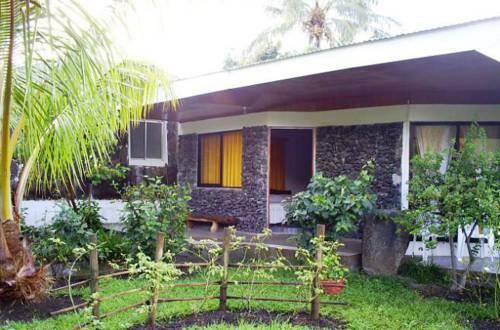 Mana Nui is just a five-minutes walk from town, right next to Ahu Tahai. This family-owned bed and breakfast offers traditional hotel-style rooms as well as separate cabins, all facing the ocean and at an affordable price. Double rooms start at $ 133 USD and cabins start at $ 145 USD . Breakfast is included, as is transportation to and from the airport. At an additional cost, the inn offers intimate tours with a bilingual local guide. 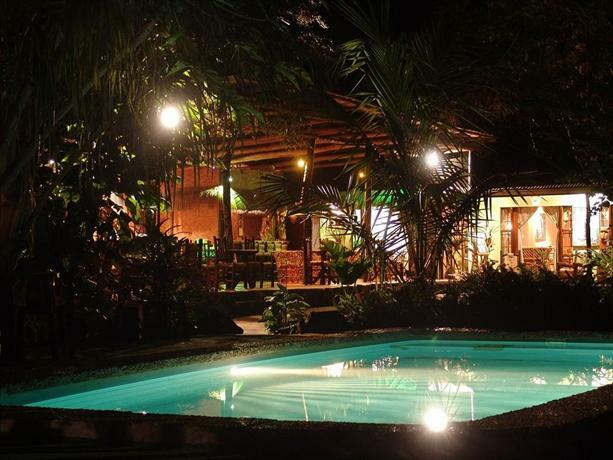 Hotel Manavai is located in the heart of Hanga Roa in a lush, garden oasis. There is a swimming pool, children’s play area, restaurant and bar, and a souvenir shop. 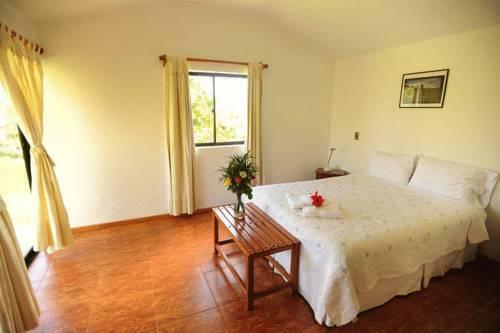 Prices start at $ 136 USD for a standard room and includes breakfast and transfers to and from the airport, as well as assistance with booking tours and finding transportation around the island. There are many dining options in Hanga Roa offering all different kinds of food, but Easter Island certainly is known for having delicious and fresh seafood. Te Moana is located on the main street offers generous portions of seafood, meats, and other dishes, elegantly plated with flowers and banana leaves. La Taverne Du Pesheur is a beautiful wooden building overlooking the harbor and has large portions of freshly caught seafood. Laid-back Miro Restobar has great outdoor seating and a variety of traditional Chilean dishes as well as ceviche, pizza, and soups. There are rental companies in Hanga Roa that rent cars, bicycles, mopeds, ATVs, and just about every kind of vehicle you can think of. The best way to get around the island is by car, because some of the best sights are on the opposite side of the island from town, and the roads are a little too bumpy for bicycles in some places. During the high season (December to March), temperatures on Easter Island are very mild, generally between 60° and 80° Fahrenheit. These are also the sunnier months, though brief periods of rain can still occur at any time. The low season is also mild, with temperatures in the 60s, though there is more rain during these months. Because of Easter Island’s extreme isolation, there is not much biodiversity on the island. There are a large number of horses that roam freely, as well as very friendly stray dogs all over the island. There are also Maori rats, several species of lizards, and seabirds such as the Frigatebird and Masked Booby. Cattle, sheep and goats are present on farms, brought to the island by Europeans during the 1800s. Most of the landscape is covered by grass. The native Totora Reed is found in some of the crater lakes and is important to the history of Easter Island. These reeds were woven together into rudimentary rafts and also used as building materials. Easter Island is about a five-hour flight from Santiago. LAN Airlines has multiple flights each week to the island departing from Santiago and Tahiti. Easter Island is very safe, though petty theft is on the rise. On occasions, there are incidents of thieves breaking into hotel rooms. Use the hotel lockbox but also hide your valuables, split up your credit cards and cash among different bags, and generally make it difficult for a thief to find your expensive possessions. During the night, keep your possessions nearby on the slim chance that someone is able to get into your accommodations to grab any bags near the door. Also, when driving, be aware that cattle, horses and stray dogs may be standing in or crossing the road, so drive with caution. Credit cards are not as widely used on Easter Island as they are on the mainland, though many places do accept them. The safest option is to bring Chilean pesos with you because the exchange rate is better in Santiago than at the several ATMs on the island. You might be able to get a slightly better hotel rate if you offer to pay in cash, because some hotels charge an extra fee if you pay by credit card. Don’t expect islanders to speak English. Chances are, the people you encounter in restaurants, shops, and maybe even your hotel owners will not be able to communicate with you if you don’t speak Spanish. Learn a few key phrases ahead of time and bring a Spanish vocabulary dictionary. The moai are part of sacred, protected sites and should never be touched or stepped on, even those that are lying on the ground. Never climb up on an ahu as this is very disrespectful to the local people and to the archaeological significance of the island.